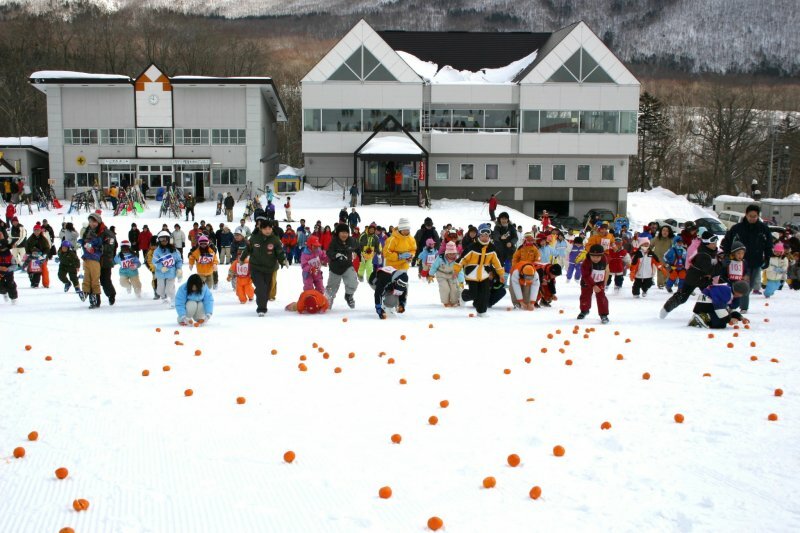 This is one of the games which is picking up as many as possible oranges. 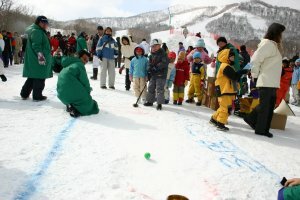 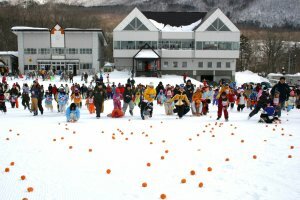 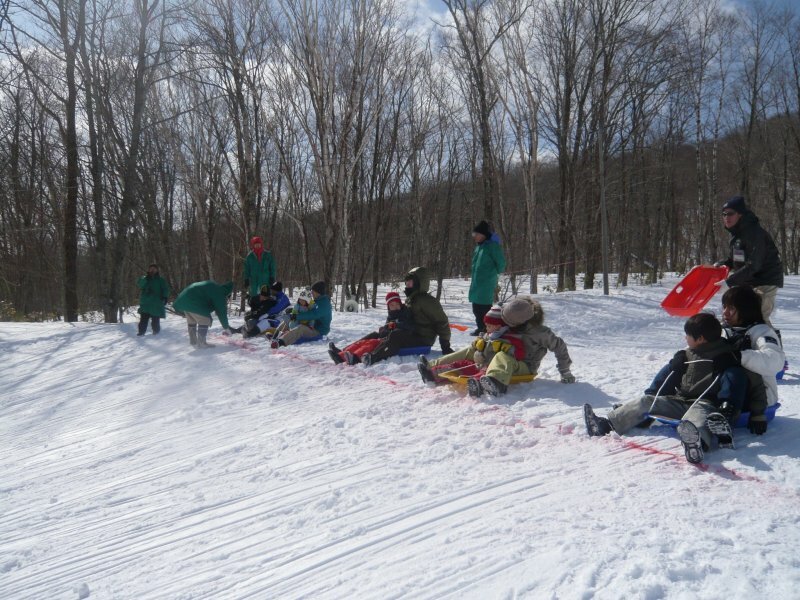 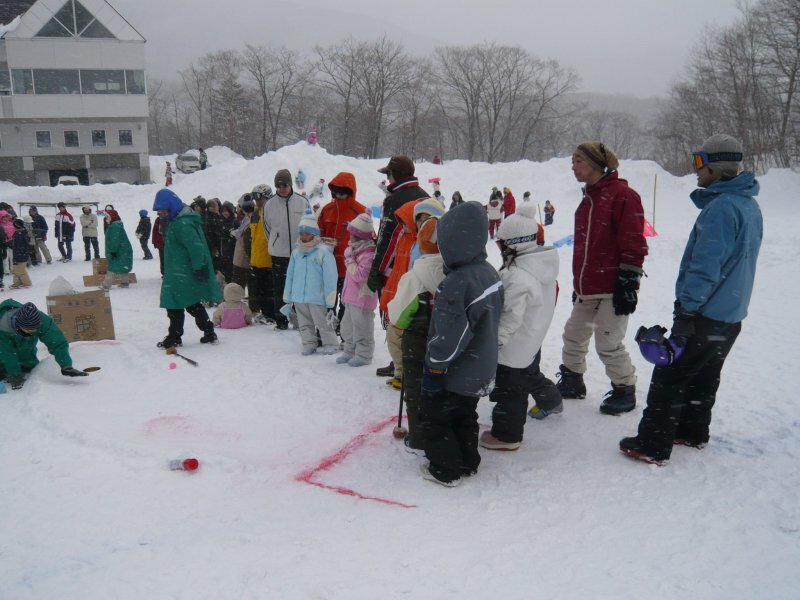 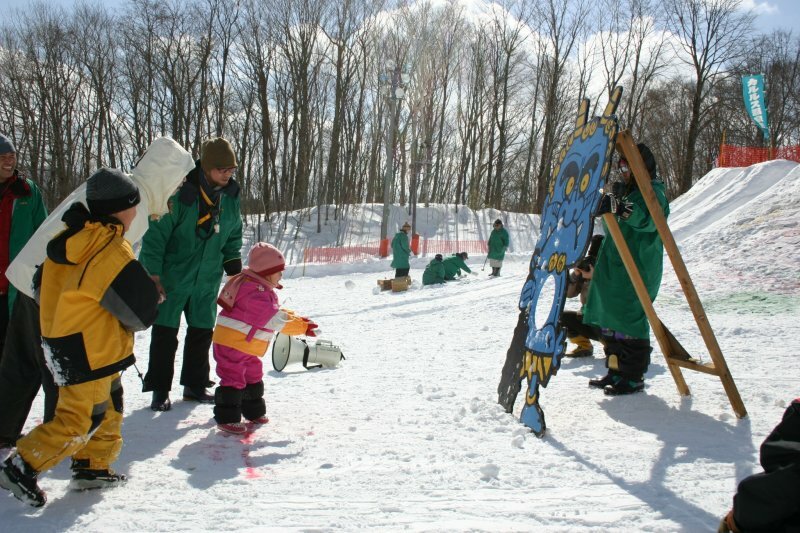 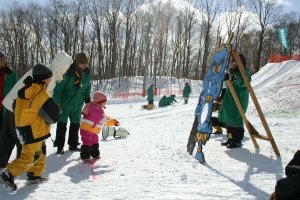 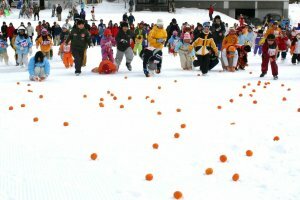 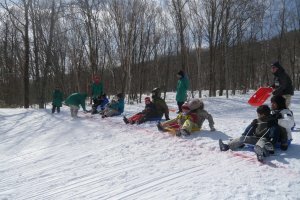 Every year on the first Sunday of March, Karurusu Onsen hosts a fun and enjoyable event for all ages at the Sanlaiva Ski Resort in Noboribetsu, Hokkaido. 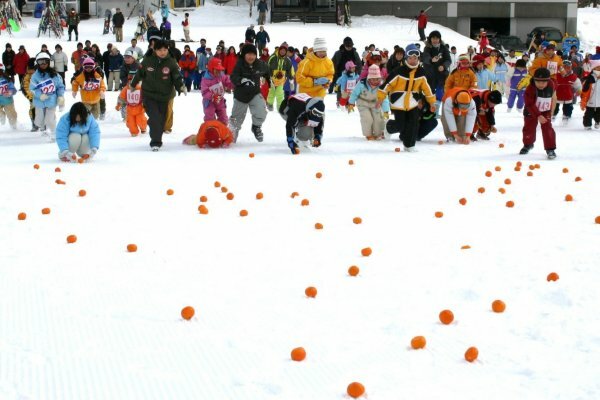 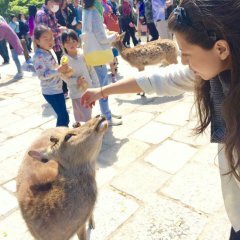 The event is all about warming up your body by playing various active games such as Orange Picking, Treasure Hunting, and Rice-cake Scattering which come along with exciting prizes. 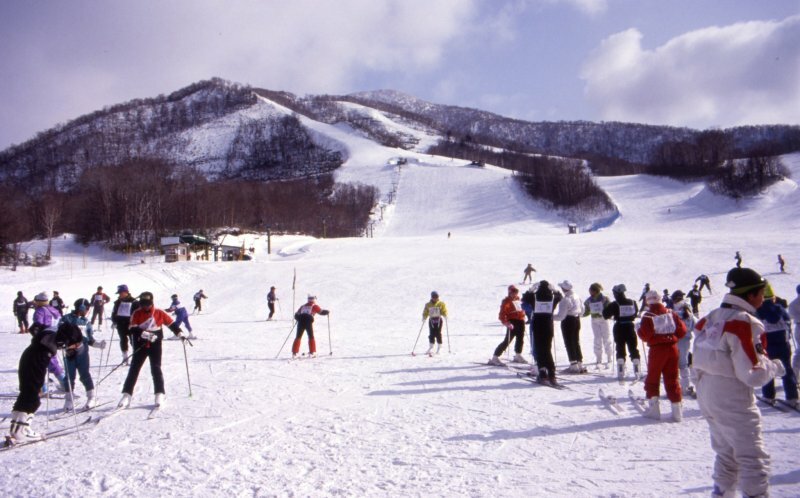 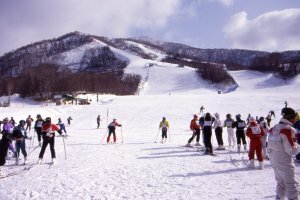 Sanlaiva Ski Resort is about a 25 minute bus ride from Noboribetsu Onsen bus terminal.